Getting the right amount of sleep is paramount to living a healthy life, but many of us don’t get enough hours of rest each night. This is especially true for those who live with scoliosis, as this spinal condition can make good sleep hard to come by. Finding the best mattress for scoliosis is essential for those who live with this debilitating condition, and taking the proper steps to ensure your back health remains a priority will improve all areas of your body and life. Scoliosis is a medical condition that refers to the curvature to the spine, and it can be a painful ailment that makes sleeping a difficult task. While normal spines have an S-shaped curve, those who suffer from scoliosis have spines that also curve from side to side. Scoliosis can be caused by a variety of things; genetically, it is formed in utero as the result of vertebral abnormalities. It can also be related to other disorders including cerebral palsy or spine bifida. Sometimes, Scoliosis develops for no apparent reason. While a lot of people believe the condition is only found in children, it can actually occur at any stage of life, although it is more common for adolescents to exhibit signs. Regardless of how scoliosis develops, there are several things those who suffer from it can do to get better sleep, and finding the best mattress for scoliosis can mean huge improvements for the pain caused by this condition. People who exhibit very little spine curve may show no symptoms and live without pain, while those with exacerbated, twisted spines can experience excruciating pain and may even face early death due to loss or organ or breathing function. Our bodies need sleep, that’s a given. But many don’t get the accurate amount of shut-eye they need on a daily basis, and this can have devastating health effects. Sleeping habits are essential to the treatment of scoliosis and its symptoms, and many studies indicate how sleeping patterns of children with the condition can be treated with proper sleep positioning. The same idea is applicable to adults with the condition; doctors will often prescribe particular sleep positions to eradicate pain and make the condition more manageable. It can be hard to establish the best bed for scoliosis as a general rule, simply because the condition can be so varied from person to person. However, there are guidelines that can help anyone dealing with the condition select the best bed for scoliosis. While you have to take into account your personal needs and what feels best for your back, we’ve outlined a few tips that you should keep in your arsenal while hunting for the best bed for your scoliosis condition. No, and this is an important factor for those shopping for the best mattress for scoliosis. While a layer of comfort on top is important, a bed that cradles the body too much, effectively putting it into a divot, will only make symptoms of scoliosis worse. As scoliosis can create mobility issues and aches, you should look for a bed that cradles the body just the right amount, and springs back when movement occurs. Absolutely not. We have found a variety of mattresses at diverse price points that greatly benefit those dealing with scoliosis, and as the condition is so varied, the bed that works for each individual so too can be varied. Depending on weight, height, temperature needs, and personal preference, scoliosis users can find a variety of mattresses from different companies that are effective for the symptoms of the condition. Foam mattresses are often cited as one of the best options for those who are living with scoliosis, and for good reason. We’ve noticed that foam mattresses or mattress toppers are designed to cradle a person’s body and it is this aspect that makes them so valuable for scoliosis patients. Yes, many find that varying body weights can have an impact on the type of mattress they buy. As a general rule, the heavier the person, the more firm the mattress should be. The lighter the person, a softer option could do the trick. Some of those who suffer from scoliosis have found mattress toppers helpful, but as a rule toppers don’t give the support needed. They simply cover up an unsupportive mattress with a cushy surface. Old mattresses often have lost the support they once gave, so they are not accurately supporting the spine – a necessity for all, but especially important for those with scoliosis. The advantages of taking the time to find the best bed for a scoliosis condition are numerous, and below we’ve listed suggestions for mattresses that can improve your sleep and back function. This mattress is excellent because of its medium firm support. It’s not too hard, not too soft, but as Goldilocks would say “just right,” and we found it works for a variety of body types and weights. The mattress really conforms to your body when you lay down, meaning your back receives the support it needs. I would say the best feature of this mattress (beyond the excellent support) is the cooling feature. It captures and gets rid of excess heat, making for a more comfortable sleep; it almost felt like the bed equivalent of “the cool side of the pillow”. 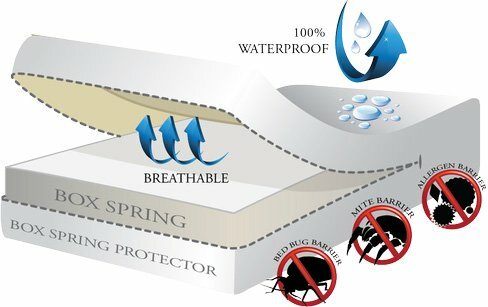 We also really like that the mattress is easy to clean, because the fabric can be removed and thrown in the washing machine. Many don’t realize how many oils can sink into their mattress beyond their sheets, so this is an important feature. If you find that you need a firm bed for your scoliosis, this might be the thing to do the trick. We found this mattress to have just the firmness necessary to provide great support while still remaining comfortable. A cool aspect of this mattress is its spring technology, which you’ll feel when you lay on it. Each spring moves independently of the other, meaning every area of your body gets the pushback and support it needs without affecting any other portion. This bed is also a great buy good for couples, as the movement of one partner doesn’t affect the other. The lack of motion transference definitely was a feature that garnered it a top spot on our list. This was a great deal simply for all that you get for the price, plus an excellent bed that feels great on the back. Sheets, pillows, and a mattress for a product that really is comparable to a much more expensive version. The 14-inch foam mattress is a good pick for those who want a bit of a softer feeling, but don’t worry, it still provides the necessary support for scoliosis. The higher cushion level will be good for those that want an easier way to get in and out of bed. We like that they have a 60-day return policy: if you find you don’t feel like it does your back any good, then you can send it back and still get your money back. That’s something we can get behind. We like this memory foam mattress because of its plush feel. Because the mattress is so thick, you have the support you need, but several layers of comfy, soft cushioning. The memory foam easily “re-inflates,” meaning no body marks that make it hard to conform to your body with repeated use. We really like that this bed is bamboo infused, a feature that helps you stay cool throughout the night and get the rest you need. Clean materials like bamboo keep the mattress light, making it ideal for various frames. Although it does cradle the body, the mattress also compresses so it doesn’t feel like you’re in a pocket you can’t get out of, which can be an issue with some memory foam options. This is a great bed for those with scoliosis who want a plush but supportive bed. I had the support I need but still felt like I was on something soft, no bounce and no feeling like you’re sleeping on a brick. 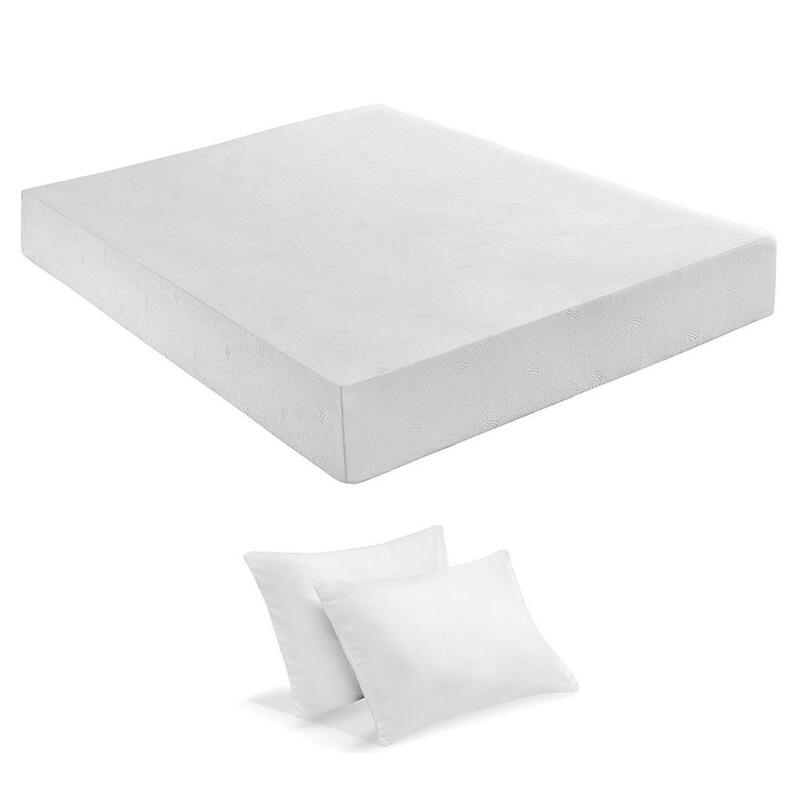 We felt this was an excellent buy for others with scoliosis, as it is sturdy enough to support the spine while making for a luxurious sleep at the same time. The mattress came with two memory foam pillows which were an excellent addition. They feature the same foam that creates a cradle for your head and encourages proper spine alignment.